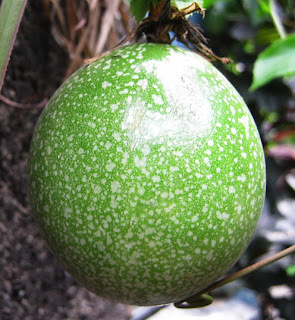 Indonesian people call the fruit as markisa. My husband can capture the flower as my neighbor has the tree. There are white flesh and yellow flesh kinds here. My neighbor has the yellow flesh one; that it’s commonly used to make thick syrup. The flower has unique shape, right? 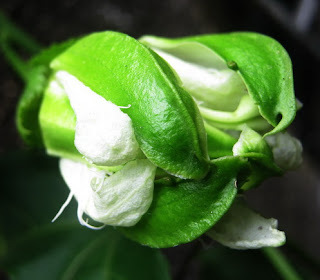 What a complicated flower! Looks great! Oh I love this flower! So spectacular...and very nice pictures! this is an absolutely beautiful flower, Lina. marvelous shots. 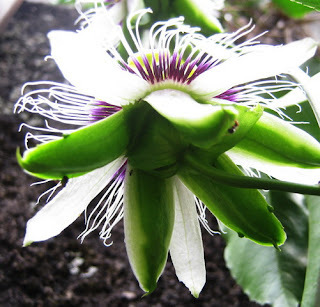 I've never had passion fruit before.Gorgeous blooms and beautifully captured too! Hosta post, have a nice week ahead! 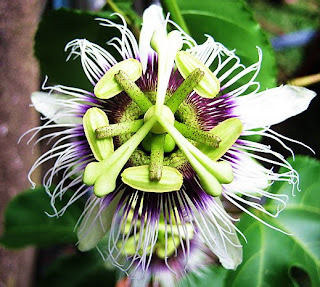 My first time to see flower of the passion fruit. Beautiful photos. Such an amazing flower and all your photos are great. Thanks so much! Thanks for sharing this flower. In the USA, we have seen Passion Fruit in the form of sorbets, tea bags, and juices blended with other fruits. 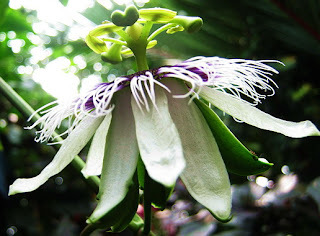 The Passion Fruit flower almost looks like a sea anenome.